What role do solvent molecules have in phenomena like protein reactions in cells, sustainable reuse of CO2 or the origin of life? Since 2012, we mix our expertise in chemistry, physics and biology to answer these kind of questions. We apply cutting-edge technologies like laser spectroscopy, scanning microscopy, molecular dynamics. We investigate the faintest interactions between solvent molecules, like water, and the dissolved compounds, like proteins or iron for example. Our research is essential to advance technologies that could reuse CO2 for chemicals production, increase the efficiency of energy conversion and storage, develop smart sensors, or enhance drug delivery. RESOLV mission is to advance the global research environment of Solvation Science, to ensure the rapid transfer of research findings into key innovative technologies and to inspire the scientists of tomorrow. RESOLV trains around 100 PhD students, collaborates with over 20 partners around the world, fosters gender equality and technology transfer. 200 scientists from 6 institutions in the German Ruhr Area team up in the Cluster of Excellence Ruhr Explores Solvation (RESOLV in short). The Ruhr-Universität Bochum (RUB) and the TU University Dortmund co-host the cluster. Prof. Dr. Martina Havenith from RUB is the cluster Speaker and Coordinator. 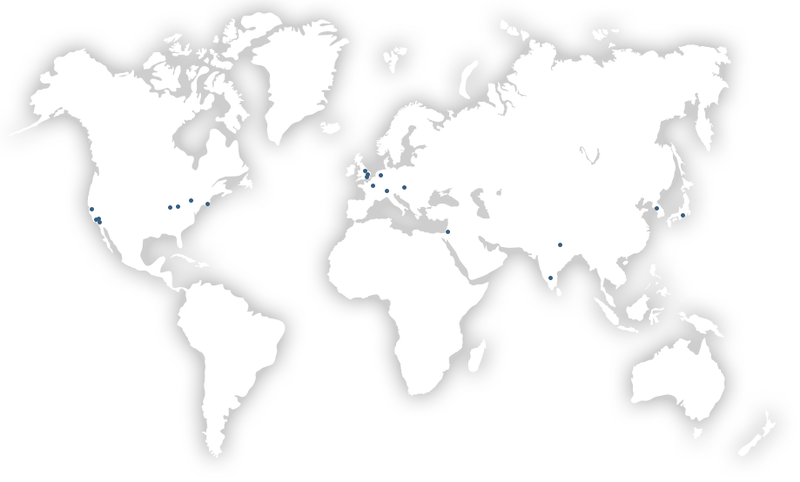 Our international network of more than 20 top institutions reaching from the US to Europe and Asia. California explores Solvation, our partner consortium at UC Berkeley, enables fruitful scientific exchange. Six strong institutions from the Ruhr area join forces to do excellent research on Solvation Science. The Center of Molecular Spectroscopy and Simulation of Solvent-driven Processes (ZEMOS - short in German) is the first research building for Solvation Science in the world. Co-funded by the German Federal Government and the the State of North Rhine-Westphalia, ZEMOS opened in May 2016. The four-story construction has an S shape that recalls the first letter of the main technology platforms hosted inside: spectroscopy, simulation and solvation. In ZEMOS, architecture and design come together to foster innovative and unconventional scientific thinking: In the colorful and transparent interior, national and international scientists find bright offices, common spaces for scientific discussions and place for large equipment. A RESOLV-Hub for our third mission, TranSOLV ensures that what we discover finds its way into society in the form of new technology. Our members cooperate closely in TranSOLV, which operates as drop-in center in RESOLV’s research building ZEMOS. Have a look at our many services, we will be happy to serve you. Interested in sharing know-how, projects, labs? It all starts with talking to each other, let’s take our science to your business! Interested in solvation research ? We welcome you as a visitor to RESOLV. Eager to explore opportunities beyond your research? Then drop-in at TranSOLV and talk to us.